I am available on an hourly, daily or project basis, to consult and lead during the many facets of developing, integrating and applying trade intelligence. By the day : Contact me directly via email. Rate: $1,000 to $2,000 per day ($125 to $250 per hour), plus expenses (billed in 1/2 day increments). By the project (over 10 billable days): Dependent upon the nature and scope of the project, a discount in my daily rate may apply. I also have several handfuls of excellent technologists, writers/editors and graphic design folks at my disposal if needed for the project. Rates vary from $35 to $125 per hour for their time & expertise. There are few things I enjoy more than directing a team of competent professionals as we work together on an innovative project toward an inspired objective. 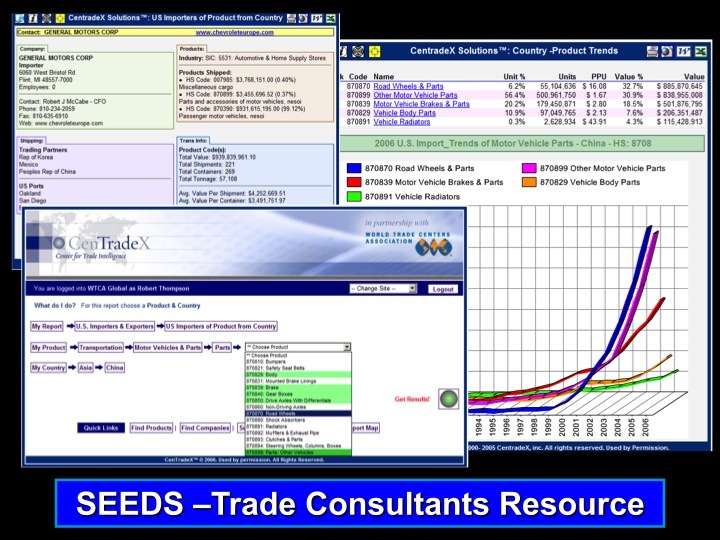 Our first interface, named “Trade Made Easy”, later renamed CenTradeX 2.0., was a colorful interactive feast of statistical interplay (over 1 billion dynamically generated charts and graphs) wherein users would select a “X” axis (one of 25,000 products) and a “Y” axis (one of 200 listed countries) and thereupon an entire website would be magically created from which they could retrieve a plethora of information. This application fared very well within academic circles. G.E.M.S. Developed for the U.S.D.A. Foreign Agricultural Service for their 50 state marketing offices (customized for each of their four regions) to help U.S. Food exporters to find and market overseas. 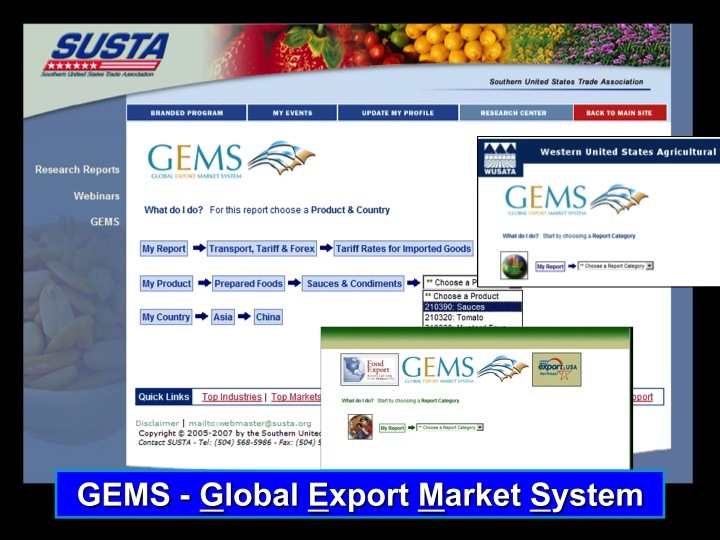 GEMS integrated Statistical, Company, Tariff, Shipping costs and foreign exchange rates into one easy to use system. S.E.E.D.S. 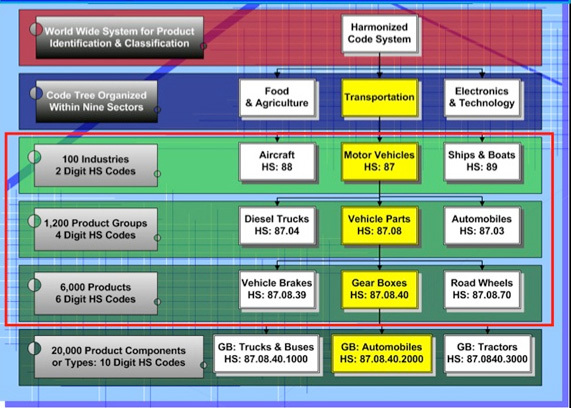 State Export & Economic Development System. Developed, then customized for many state trade offices including California, Pennsylvania, Alabama, Oklahoma, Tennessee, Virginia and more. 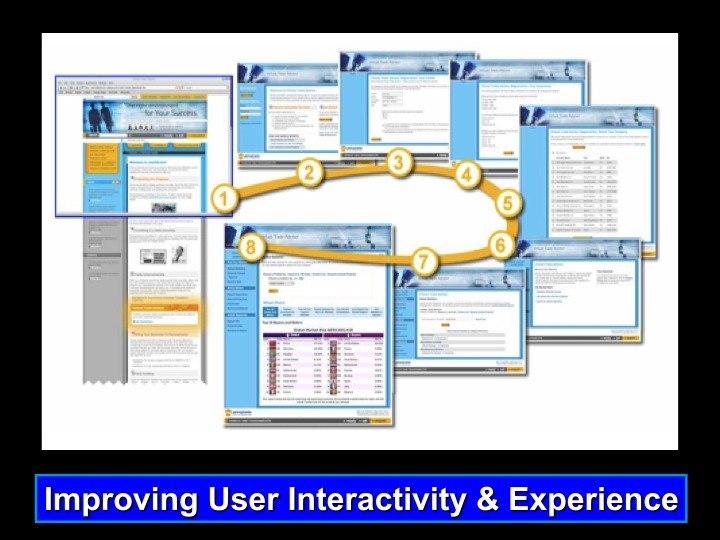 The user interface was designed to work seamlessly within the look and feel of the respective states’ websites therefore “attributing” tremendous technological and information power to the state and providing valuable services to their consistency. 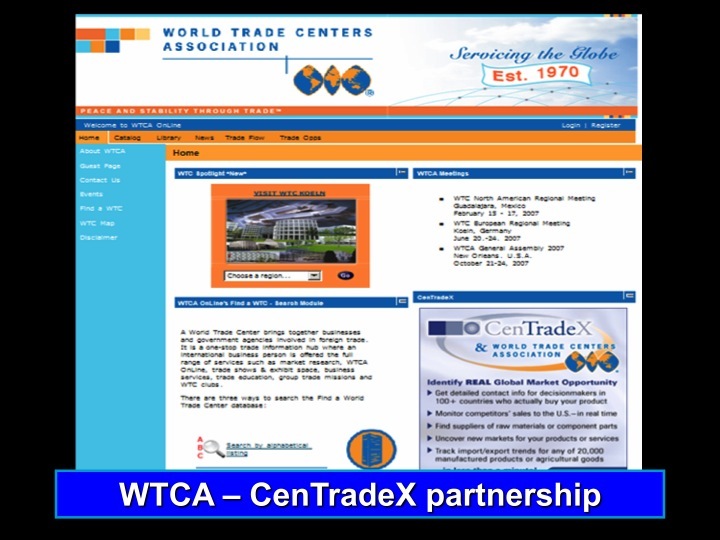 SEEDS was further customized for the WTCA (World Trade Centers Association) for their 300 WTC’s in 100 countries servicing 1 million members. Each member trade center’s U.I. 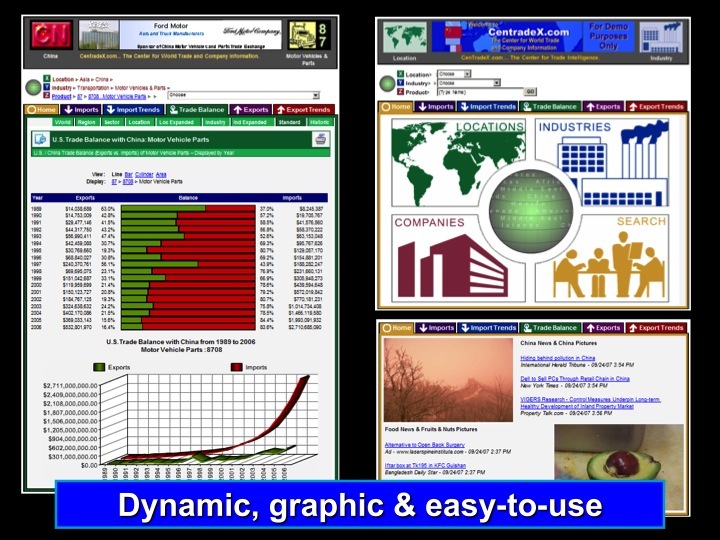 (user interface) was regionalized to present data pertinent to their city, state, country, industries and companies. In addition, automatically generated reporting – incorporated into each members interface – helped generate revenue from the sales of reports and services. Our development work went beyond simply modifying our interface to the “style sheets” of our respective customers. We specialized in doing “innovative things with international trade data” to meet the specific requirements and needs of each client. For MSU/Global Edge (the most visited international info. 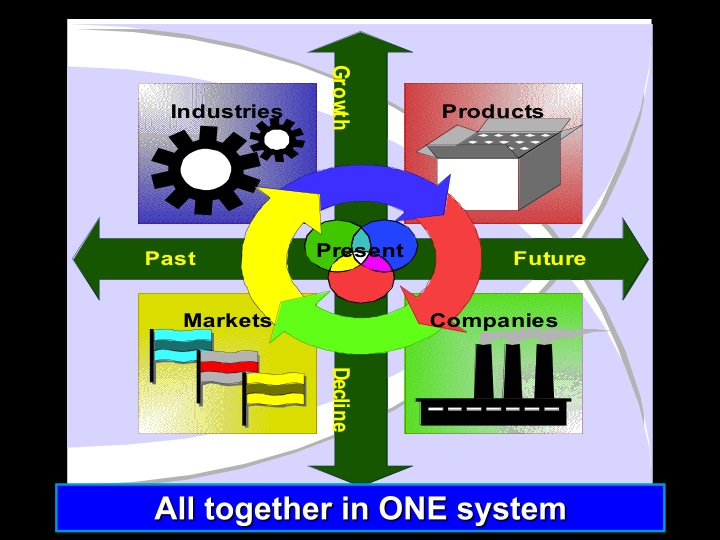 website on the planet at the time) we constructed interactive industry, country and state “channels”. 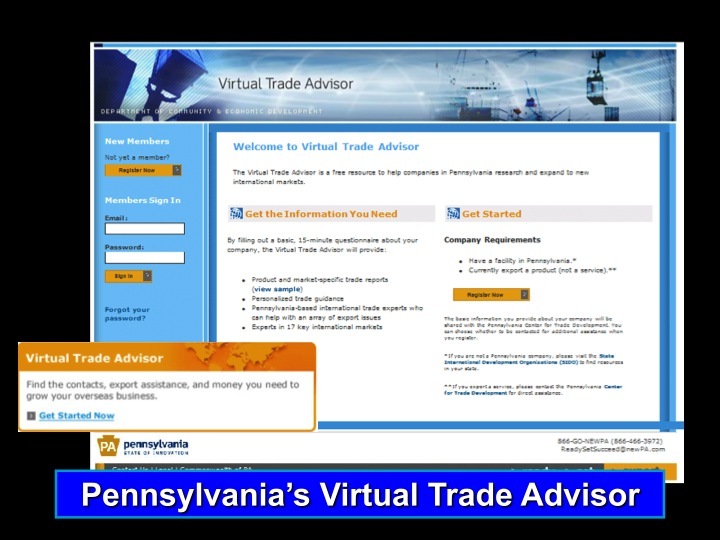 For the State of Pennsylvania (with the most “funded” state international trade office at the time) we developed an advanced interactive platform for their exporting companies throughout the state that lead them – step-by-step – through a diagnostic tool that evaluated their export readiness, directed them to the appropriate resources and gave them a 20 plus customized comprehensive global market report on their selected product. 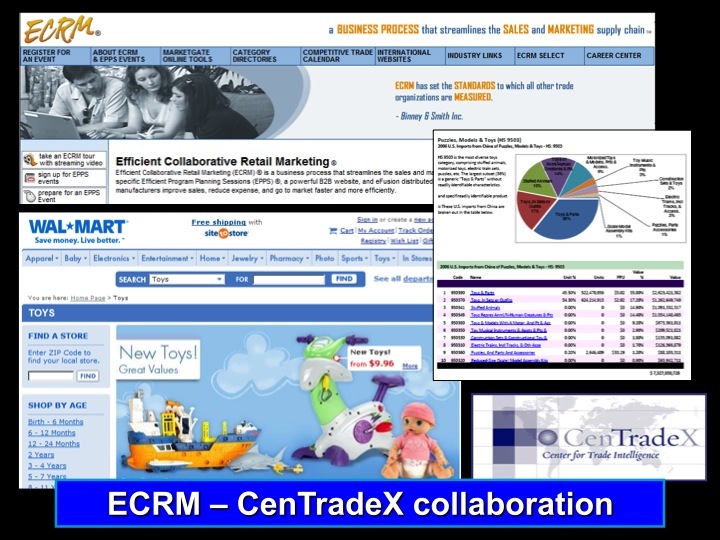 In collaboration with E.C.R.M and Walmart we developed and integrated several “industry channels” within their Marketgate application suite, which provided trade and market intelligence to U.S. retail sourcing professionals and suppliers. Incorporated within the system was the capability to generate ad-hoc “on the fly” reports based upon the users selected product – source country pair. 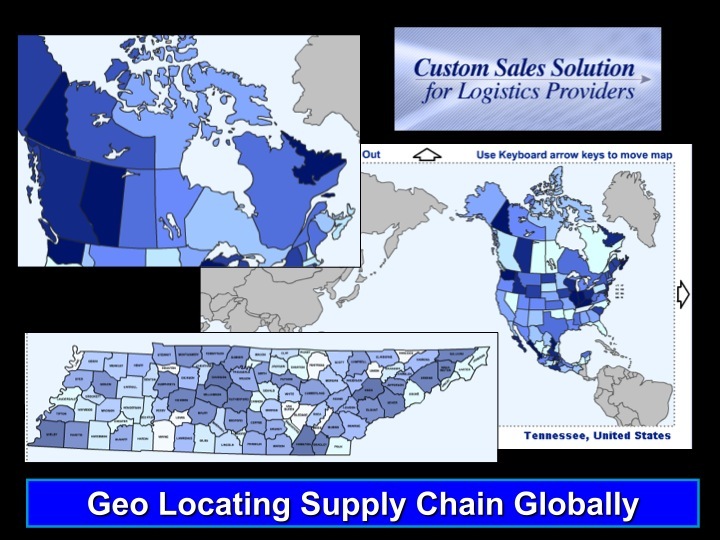 Working with Panalpina (a long time CenTradeX customer) and other logistics providers we developed a geographically oriented prospecting tool which was later named Prospects. Under the hood of this powerful application was our superior capacity to geo-code the transactional data we received from U.S. Customs – connected with huge data repository of International companies. There were handfuls of other clients, big and small that we worked with to develop business solutions for their international trade service. Much innovation has been done within the world of trade innovation, but there is still very very much to do. It is a trillion-dollar industry that still operates in many ways like we still exist in the industrial age. I’d love to help you develop and refine the technological tools you possess to better compete and succeed in the global market place. Over the last decade, we have performed a plethora of research and reporting services for clients in many industries. 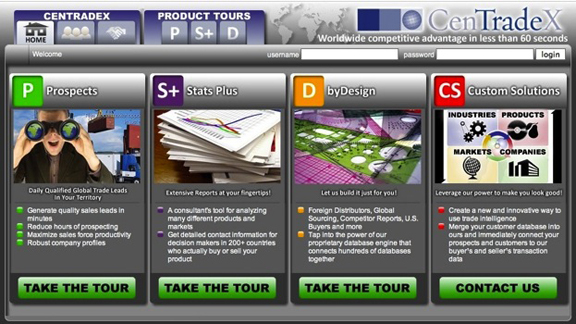 The scope and focus have ranged from industry and sourcing analyses conducted for Disney, Wal-Mart, ECRM and the WTCA… involving months of work and a handful of researchers, writers and analysts… to straightforward product, prospect or competitive reports usually produced within a couple of days… to simple downloads of a competitor’s shipments and suppliers or a statistical view of prospective export markets ready within hours. 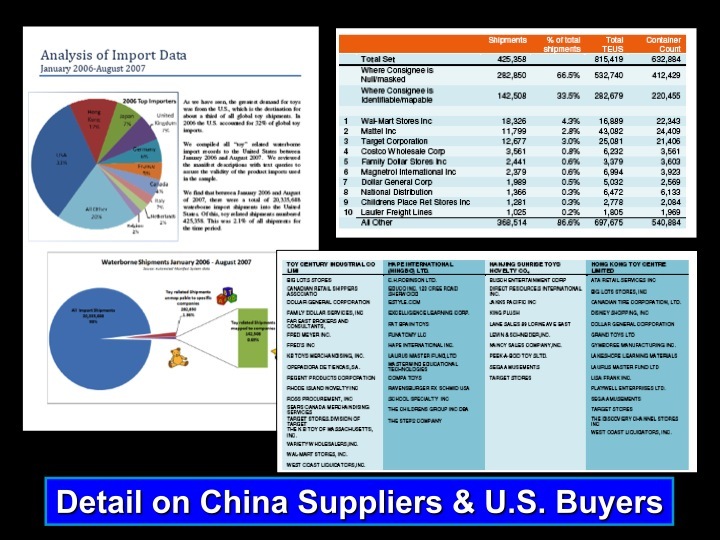 Prices for the above have ranged from several hundred dollars to $25,000 in the case of the comprehensive analysis of the China “tainted toy” fiasco in which we utilized our data sources to analyze over 400,000 toy shipments by hundreds of China suppliers to thousands of U.S. importers. This study was utilized by Wal-Mart, the New York Times and the U.S. Toy Association. 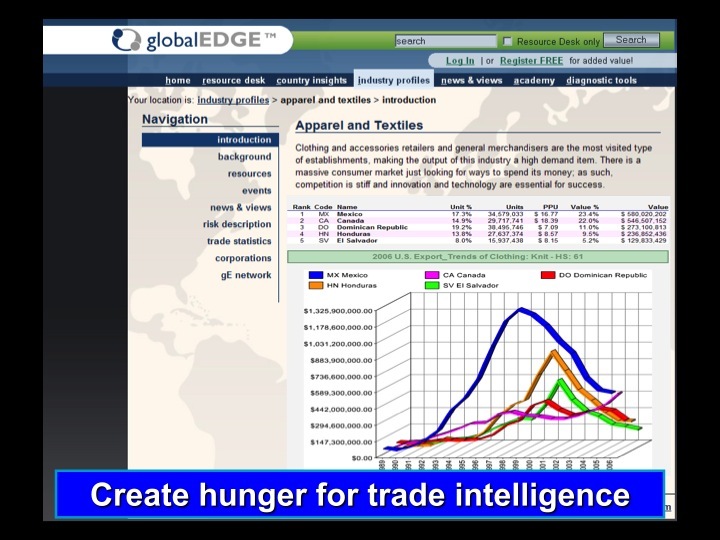 See our article The Use and Application of Trade Intelligence Can Be a Matter of Life and Death. We maintain the capacity, with the Prospects and Stats Plus licenses to produce smaller reports very quickly. Please contact me at robert@worldtradedaily.com for further information. Custom publication and marketing. We can take the pain out of publishing for you. Contract with us to provide all your blog design, content development, technical administration and social marketing. We can produce content designed specifically for your company and target market(s). To design, integrate, write, edit, market and administrate the complete content, blog technologies and social networking aspects for your trade or international business related company would require you hiring and overseeing a handful of employees which is very costly. We provide a less expensive, more professional alternative. See the cost structure below. There is an initial one-time fee of $10,000 to cover consultation, design and complete set-up. Outsourcing is a great way to improve content without hassle or hiring several employees. Articles written, published and marketed once per week (50+ articles, averaging 400 words each with visuals): $36,000 annually. Twice per week (100+ articles): $60,000 annually. Weekdays (five times per week): $100,000 annually. Daily (seven days a week): $120,000 annually. Sponsorship of WorldTradeDaily.com. : Your banner advertisement will appear as the header (570 X 80) on a WTD article once each week of the year: 52 placements, 52 articles. Your header will remain permanently attached to each of the 52 respective articles for $5,000 per year which is less than $100 per article. You can become a “global” sponsor of all 365+ articles per year along with site header attribution for $25,000 annually. Sponsorship with (re)publishing and marketing rights: You may integrate our articles within your website and thus promote enhanced pertinent fresh content every week – 52 articles annually – for less than an additional $20 per article – only $1,000 per year. Two per week (104 per year) @ $2,000 and so on. A good way to add new weekly content to your website. The following provides a cursory outline of processes employed by CenTradeX in crafting innovative trade intelligence applications. Readers are invited to (mouse over for explanation) click on the hyperlinks below to expand their understanding further through graphic illustration and related articles. Additional information can be made available upon request. 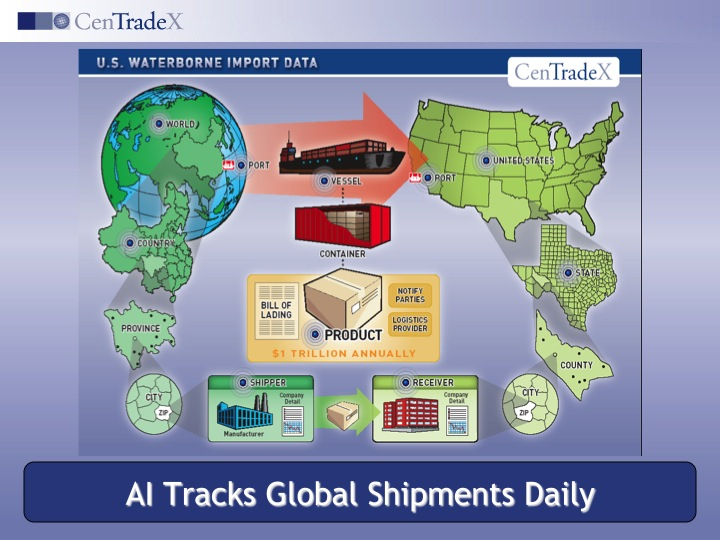 From March 13th WTD article, “The Holy Grail of Trade Intelligence: “Connecting the Dots” to U.S. Customs Data”: CenTradeX, founded by Robert Thompson in 2000, initially focused on bringing value added features to U.S. import and export data. Thereafter, they layered and connected this U.S. centric data with global import and export data on 200 countries. Up until then, no one had ever layered and integrated these data sets. Atop these various statistical data collections, CenTradeX crafted a graphic, interactive interface. After selecting an “X” vector (one of 20,000+ HS coded products) and a “Y” vector (one of 200 listed countries) users were presented with dozens of dynamically created reports on their chosen “intersection”. Over a billion unique reports could be potentially generated by the system. Next, they identified and incorporated company data – both foreign and domestic – to uncover the actual traders behind the statistics. CenTradeX assimilated the best-known sources; Kompass, Harris Info, Hoovers, D&B, PIERS, etc. One of the challenging aspects was that statistical data is organized under one (HTS) classification schema while company information is organized under other (unrelated) systems (SIC, NAICS, or a vender’s particular proprietary taxonomy). Further, they successfully incorporated other disparate data sets such as tariffs (for all countries and products), estimated shipping costs (from various U.S. port regions to any /all countries), live stock market and Forex feeds as well as their clients’ proprietary data collections. The most daunting data transformation endeavor was that of understanding, normalizing and intelligently incorporating U.S. Customs data into this dynamic mix. 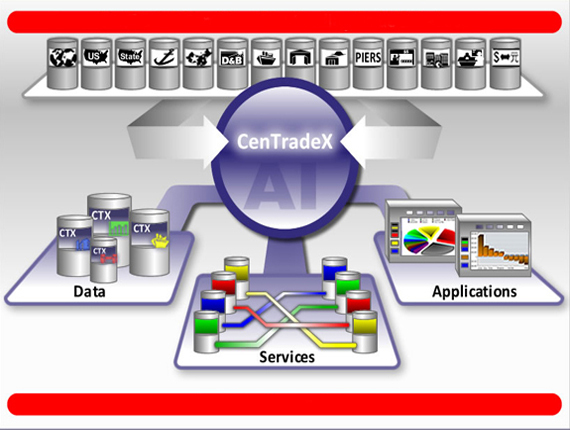 It took CenTradeX several years to develop an intelligent system by which to quickly and seamlessly assimilate the daily Customs feeds. 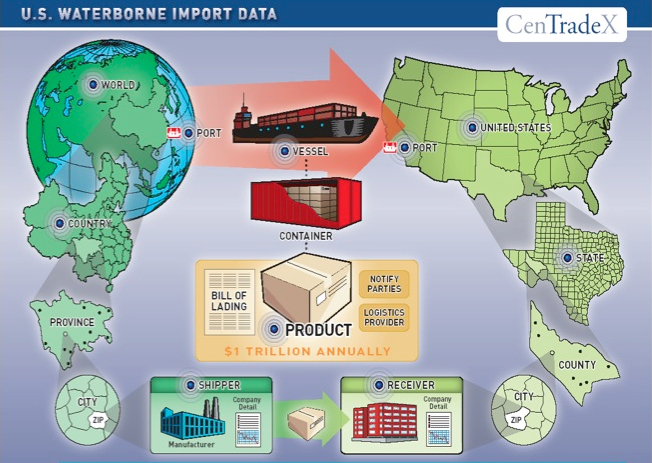 From March 12th WTD Article, “Why U.S. Customs Data is The “KING” Among All International Trade Data Sources.” U.S. Customs (waterborne manifest BOL) data is considered the most valuable data collection. Why? It’s available on a daily basis, within hours after shipments clear. It’s detailed and transactional; containing shipment by shipment accounts of suppliers, importers, products and supply chain. It represents $1 trillion+ global trade a year. See this MUST READ article: March 1 WTD Article – “U.S. 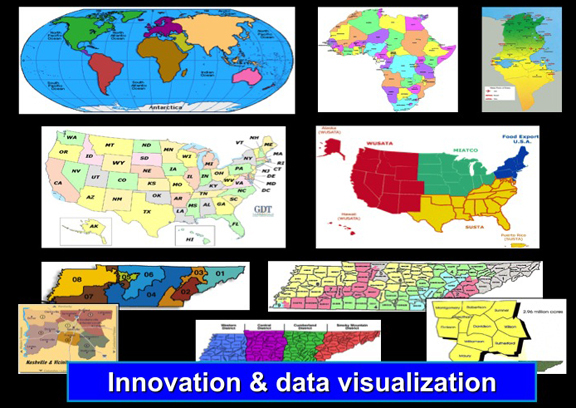 Customs Data Primer Part 4: Enlightenment Through Graphics & Diagrams”. Also check out March 14 WTD Article, “U.S. 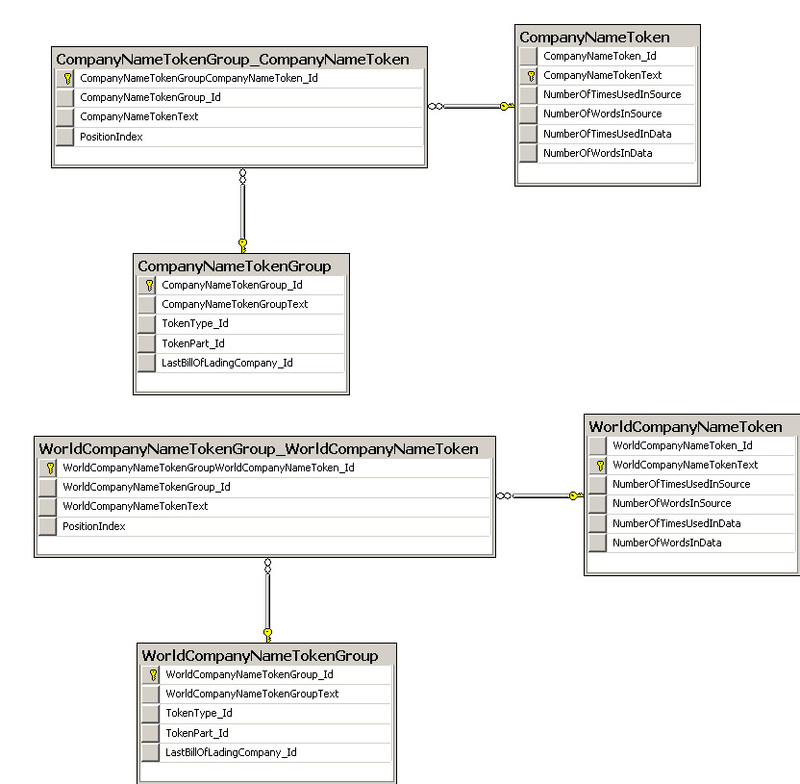 Customs Data: Parsing & Normalization. The First Steps in its Long, Transformational Journey” and March 15 WTD Article, “U.S. Customs Data: Resolving the Enigmatic & Challenging Problems Inherent Within the Data” and March 16 WTD Article, “Complete Transformation: Final Refinements & Enhancements Applied to U.S. Customs Data” for a deeper, more technical explanation of the processes involved in parsing and assimilating U.S. Customs data. The collection of programs, procedures and referential databases with which CenTradeX transformed raw data into usable business intelligence is referred to as their “A.I.” (Artificial Intelligence Engine). 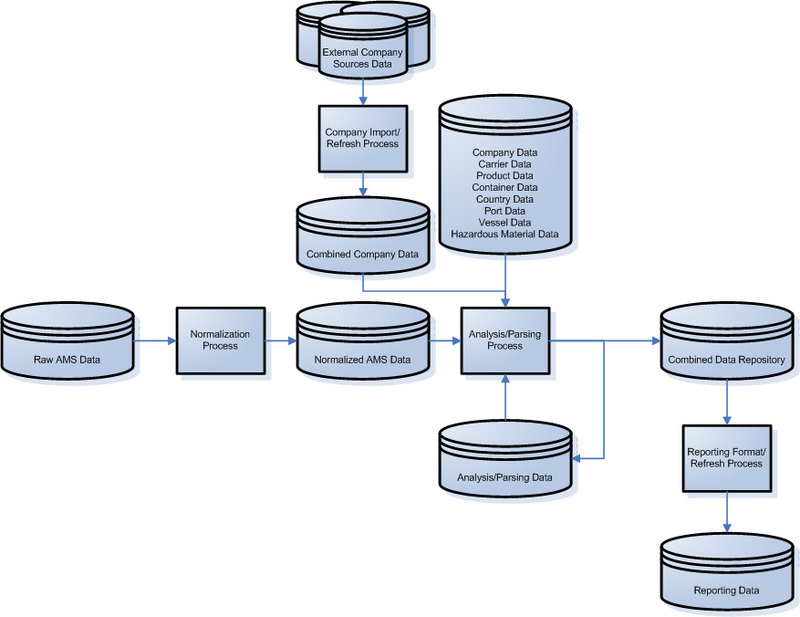 It, along with their huge data repositories of statistical, company and transactional data collected over the years, represent the primary assets (along with the human intelligence and experience by which to integrate, develop and deploy them) that are offered for license, sale or joint venture consideration. Commercial Services offered through WorldTradeDaily.com. Last year, I was contacted by a New York based consulting firm on behalf of one of their clients: a major equity firm interested in investing in the Trade Information field. This multi-billion organization, who shall go unnamed for confidentiality reasons, focuses on investing in existing, profitable businesses (primarily within information technology) not start-ups. Seems they were looking for a trade information company to buy or heavily invest in. As the expert du jour, I consulted with the principal – first providing an overview of the trade intelligence industry: history, sources and types of data, business applications, current challenges, and areas of potential opportunity. Concurrent with his intention, we spent a goodly amount of time discussing the major players (along with their respective strengths and weaknesses). Of course, I gave him a run down of the “Usual Suspects” – those I call the “Top Tier” TI providers: PIERS, Datamyne, Zepol, Panjiva and Import Genius. I avoided the recent “Gang of Twelve”: newly minted domestic and foreign companies offering access to U.S. Customs Waterborne Import BOL data via an off-the-shelf BI intelligence software utility. I started with TI companies offering the U.S Customs Data, because it is inherently the most complex to deal with and potentially most valuable data source available. Notwithstanding, we expanded the list of candidates to include statistical, company and reference based information providers (non-governmental). Included on the short list was GTIS, WISER, Kompass, FITA /GlobalTrade.net and a handful of others. What became obvious over the course of our conversation was that there really wasn’t any one company out there that I would put on the “A” list for one reason or another. The top choice would be PIERS, but since they are a member of a London-based publicly traded media conglomerate, it would be a complex deal to get done. Another problem is that, they are still laboring to overcome a decade of inertia left over from previous management. It is more of a challenge to stop and change the direction of a huge oil tanker, than it is a cruiser. The others really don’t integrate data (connect the dots) to any significant degree. 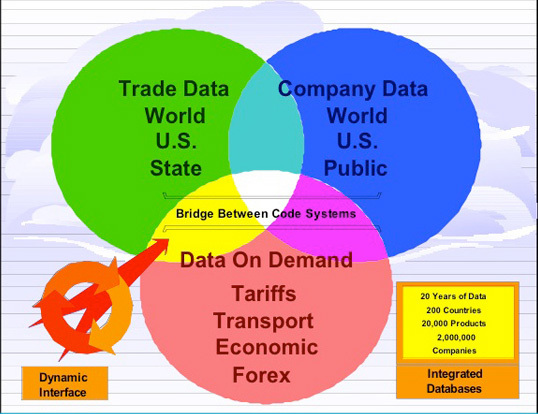 Really THE KEY, the Holy Grail of Trade Intelligence, is about INTEGRATION: connecting the dots, dimensionalization and visualization of interconnected layers of disparate sources and types of data. In the movie world, from whence I came a couple of decades ago, a company called In-Three defines dimensionalization as “a method developed by In-Three of converting 2D content to stereoscopic 3D content.” They employed the technique in the movies Alice in Wonderland, The Transformers and G-Force to give depth and dimension to an otherwise flat celluloid world, pixel by pixel. How would dimensionalization be applied within the Trade Intelligence field? 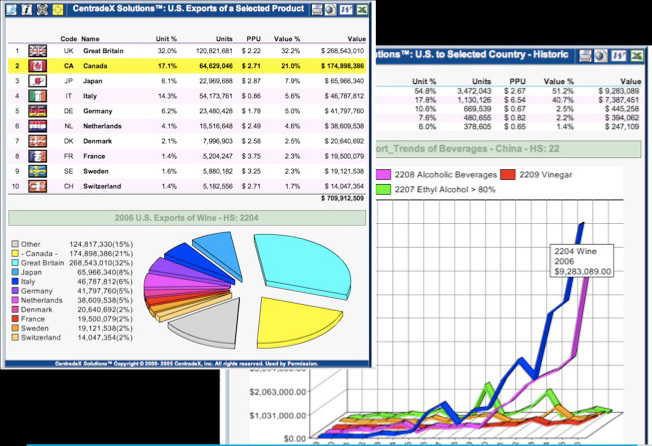 Imagine an interactive, visually oriented dashboard designed for fund-managers and financial analysts whereby any given publicly traded company’s vitals could be displayed along with dynamic drill down and reporting capability including (for instance) real-time analytics, risk assessment and competitive analysis partially constructed from U.S. Customs Waterborne Import BOL records as well as other datasets. Many pieces of the puzzle are there already. Few (actually NONE) have invested adequate resources, creativity, intelligence and vision to put them together. 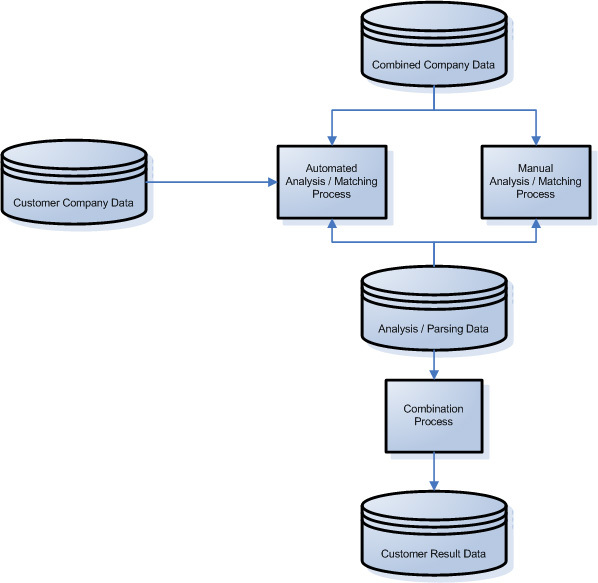 Next along its path of transformation and enlightenment, Customs data is enhanced with a number of ancillary but related (and connectable) data. Once the company location and name has been successfully resolved, its location can be assigned to a respective county, city, MSA, CSA, CBSA, congressional district, area code, time zone or even latitude-longitude. Thereafter it can be integrated into a dynamic mapping application or be used in detailed geo related analysis and reporting. Any number of “groupings” or consolidating factors can thus be applied. GEO MAPPING of customs data after resolution of company name iterations, disparate locations and other aberrations. 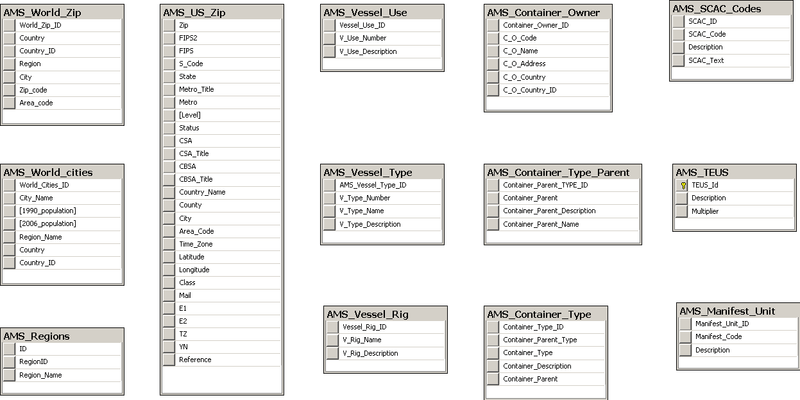 Expanded information about the vessels (ships), containers (types, sizes), container owners, ports, carriers (SCAC reference) and any number of “connectable” relevant databases can also be linked during this step of the process. The possibilities are as infinite as imagination and business requirements dictate. 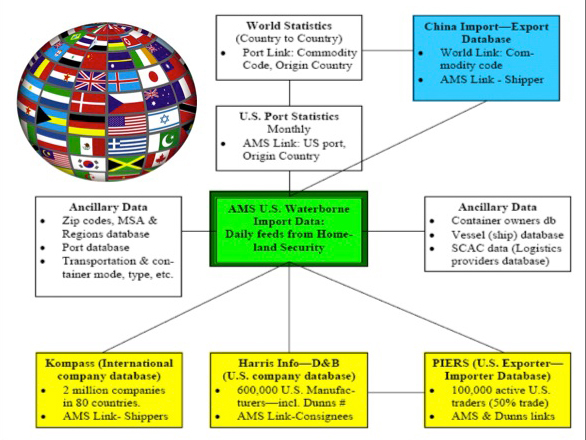 Referential database utilized to enhance normalized AMS Customs data. Click to enlarge and open in a new window. At this point, the U.S. Customs data has been imported, organized, cleaned, groomed and dressed. It is now ready for “prime time”. It’s show time in the data world. The data is now ready to move into an “exportable” mode. 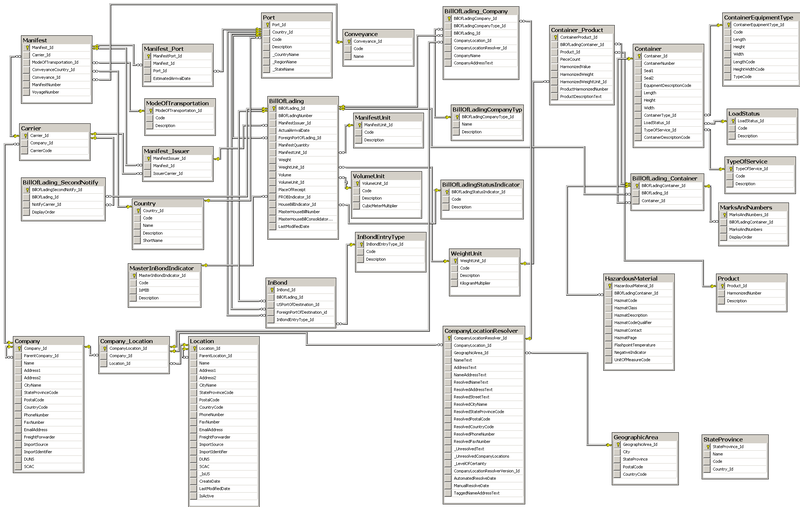 Therefore, it is organized (and refreshed) within a distinct database of its own. All the processes, detailed over the last several days, tens of thousands of individual BOLs, have been completed in a number of hours. These routines run habitually every day. 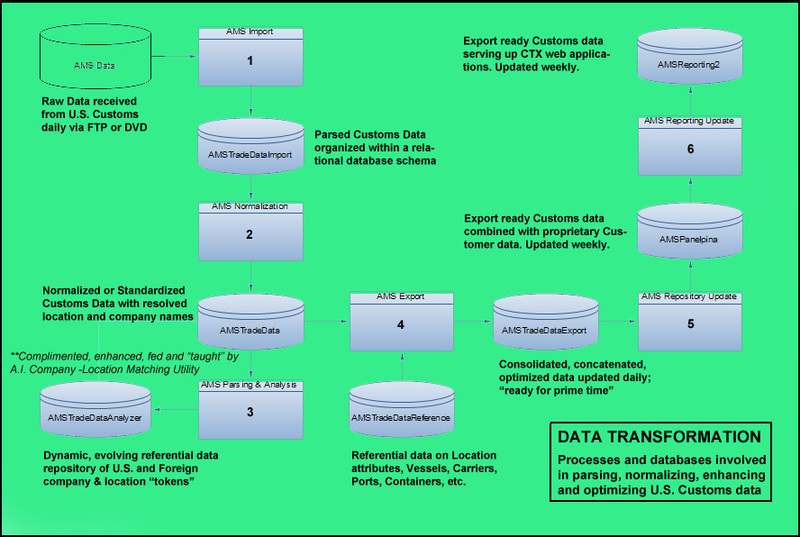 All databases and processes – through the creation /update of the “AMS Trade Data Export” DB – occur internally and securely (behind the veil). 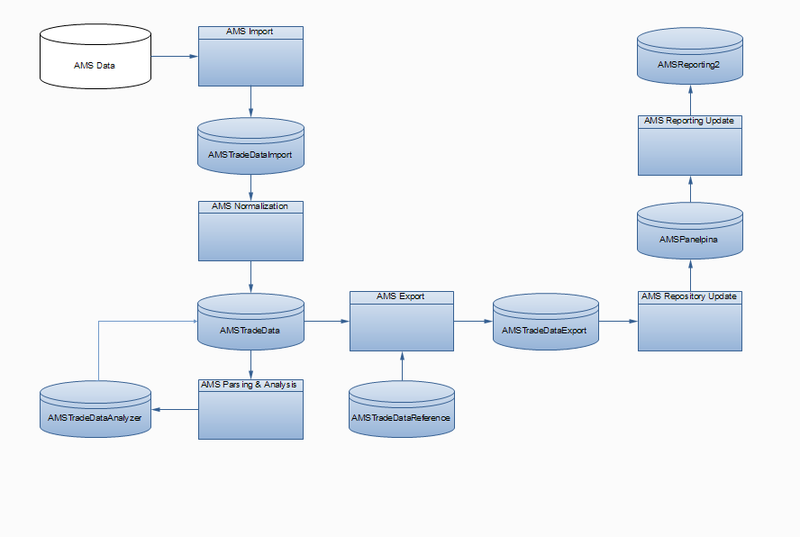 Now four processes, involving six databases have been completed. Thereafter, two additional processes are initiated on a weekly basis. One integrates various client’s proprietary data with our completed Customs Data and updates the databases upon which their respective web applications sit. The second process refreshes the reporting repository from which the host of commercially available web applications draw. The Journey of Customs Data Transformation from Raw data to Trade Intelligence. Click to enlarge. Transformed Customs data, integrated with other statistical, company trade and economic data sources can be a powerful tool to navigate and succeed within the multi-trillion dollar international trade marketplace. A plethora of applications and services can be enhanced by the skilled utilization of Trade Intelligence. Customs data tracks over $1 Trillion of U.S. Imports annually. The collection of programs, procedures and referential databases with which we transform raw data into usable business intelligence we refer to as our “A.I.” (Artificial Intelligence Engine). 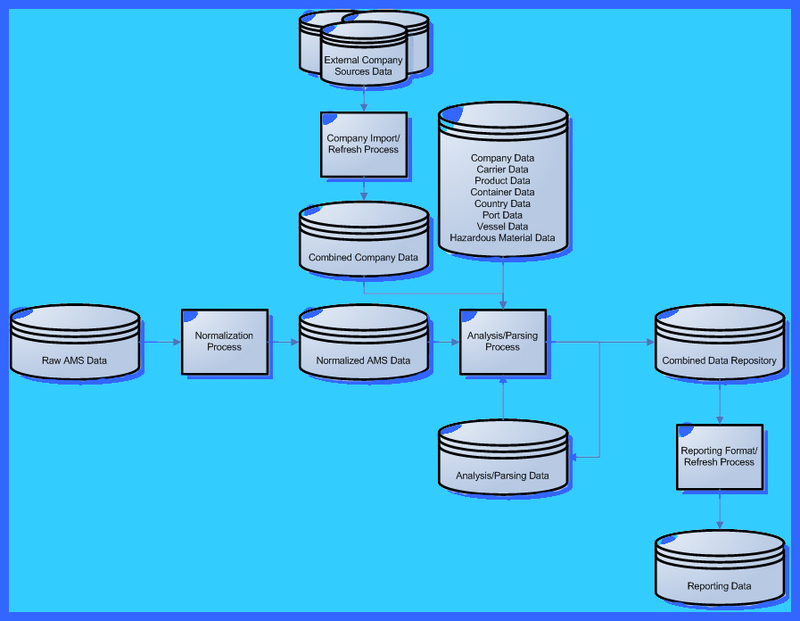 It, along with our huge data repositories of statistical, company and transactional data collected over the years, together represent the primary assets (along with the human intelligence and experience by which to integrate, develop and deploy them) that we are offering for license, sale or joint venture consideration. A.I. Artificial Intelligence Engine transforms data into intelligence to support international trade services and applications. Please refer to our Commercial Services Menu on the top navigational bar of this site for information on Application Licensing, Research & Writing Services, Database Repositories, Artificial Intelligence Engine as well as other Consulting, Project Management and Application Development Services. This week we went under the hood to look at nature and application of Customs data that tracks U.S. Waterborne Import Shipments from Overseas Suppliers and Sellers. 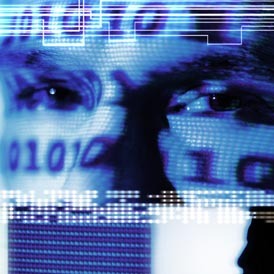 TI Transformation: Data into Information into Knowledge into Intelligence into Application. Current trends and commoditization of U.S. Customs data. Trade Intelligence or TI: IT all depends upon how you define “IT” and “TI”. 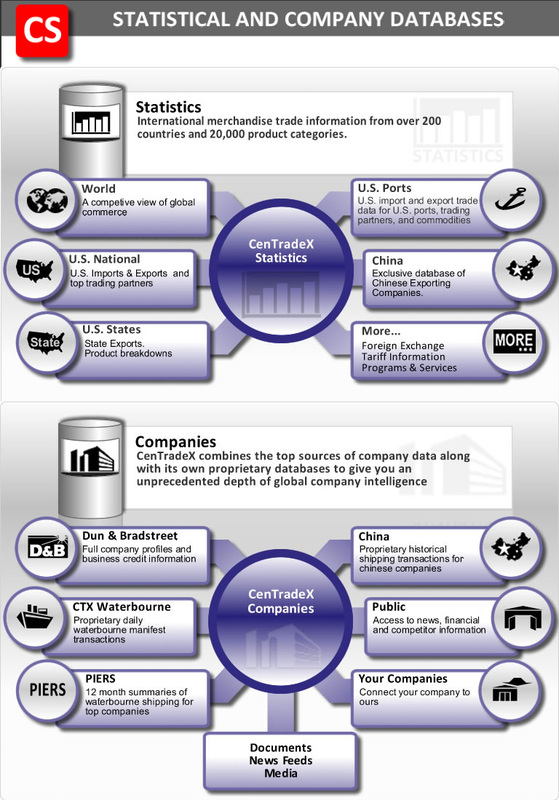 The plethora of current “Trade Intelligence” suppliers of U.S. Customs data. U.S. Customs Waterborne Import Data: Perspective is Everything. Need for a broader understanding and application of trade data. U.S. Customs (AMS) Waterborne Shipping Manifest (BOL) Import Data. BOL fields listed with an excellent chart depicting relevant trade flows. A must read. The Use and Application of Trade Intelligence Can Be a Matter of Life and Death. Case Study for application of U.S. Customs data in “tainted toy” (lead paint) fiasco. Three part series: The ABCs of U.S. Customs Data – Issues & Shortcomings. Read Part 1. Problem with Supplier /Importer name iterations. Read Part 2. Problem with Product identification and valuation. Read Part 3. Problem with suppressed names and Master Bill of Lading versus House Bill of Lading. We also published several dozen articles focusing on the current Trade Intelligence purveyors of Customs data. The links provided below will pull up a handful of articles each – for a particular company, group of companies (in cases where they are “minor, second tier” providers) and summary evaluations. You can also find these articles, and others grouped by various categories, on the top navigation menu of this site. Most people seem to want what they don’t have. I guess it’s human nature. It’s that way with trade intelligence. Folks want to extract more information from it than what is intrinsically possible. You just can’t get soda pop from milking a cow. To understand what you can and can’t get from U.S. Customs data… we need to dig into what it is and why it is… what it has and what it doesn’t have… what current T.I. providers are doing to enhance the base data… where the holes are and how best to fill them. U.S. Customs, now under the auspices of Homeland Security, requires detailed documentation of all waterborne shipments entering into the United States. This information must be filed 24 hours before the shipment disembarks from its originating foreign port. Once the carriers dock at their respective domestic port, each day’s documentation of shipments (midnight cut off point) is published and distributed via FTP (used to be sent via overnight on a DVD) to awaiting subscribers (of which there are only a couple handfuls). This is made available through the Freedom of Information Act. First of all, with the exception of UBM Global Trade /PIERS, who has special reciprocal information exchange deals with many ports and carriers as well as a cadre of data gathers assigned to many U.S. ports, only daily transactional data on U.S. IMPORTS is available, NOT EXPORTS. Thus, as a U.S. manufacturer, you aren’t going to find a list of foreign buyers for your particular product within the confines of U.S. Customs data. Secondly, only commodities and products that enter the U.S. via SHIP (waterborne freight both containerized and non-containerized) are accounted for. Shipments that come via TRUCK or RAIL, let’s say from our North American neighbors – Canada or Mexico – are invisible. Also absent are shipments that come via AIR. Therefore, if you’re looking for U.S. Customs data to provide information on shipments of high-tech components, you’re going to be very disappointed (because they are mostly shipped by air). If you want competitive intelligence on a company who largely imports from suppliers in Mexico, again, you’re going to become very frustrated. If you’re after an accurate analysis of all foreign suppliers and U.S. importers for a particular component that may have originated from several countries (including our NAFTA neighbors) and shipped by multiple means (air, rail, truck, ship), it just isn’t going to happen. There are going to be huge, gaping holes in your report. Available U.S. Customs data ONLY details inbound waterborne shipments, NOT U.S. exports and NOT trade activity by rail, truck or air. The commoditization (and devaluing) of trade data and trade data based products is accelerating, perhaps inversely proportional to the quality and number of suppliers and products in the marketplace. Let’s look at one of the most treasured (and perhaps useful) types of trade information – U.S. Customs Waterborne Import Manifest Data. Automated Manifest System data, sometimes called “AMS”, is information collected daily by DHS (Department of Homeland Security) U.S. Customs for and about each and every ship and shipment bound for the U.S.. Thousands of imported shipments are logged everyday. Each manifest contains information about the foreign shipper (exporter), the receiver (importer), details on the product shipped and various logistical specifics on routing. “Back in the Day” when I founded CenTradeX in the summer of 2000, only PIERS offered such information. Primarily, it was distributed to customers via a stack of CDs each and every month. 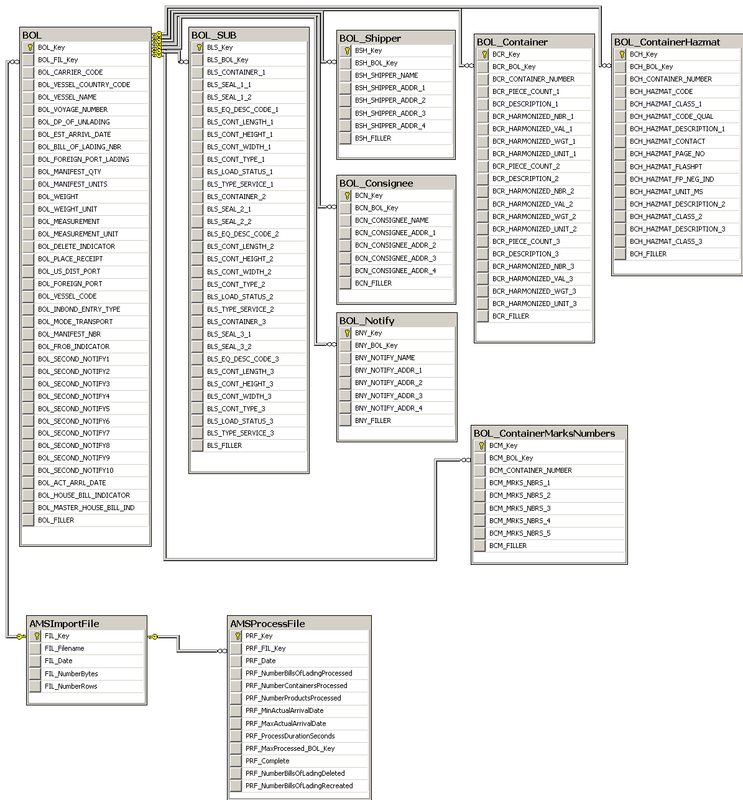 The user hunted through an Excel type interface for specifics on a particular product, shipper or importer. 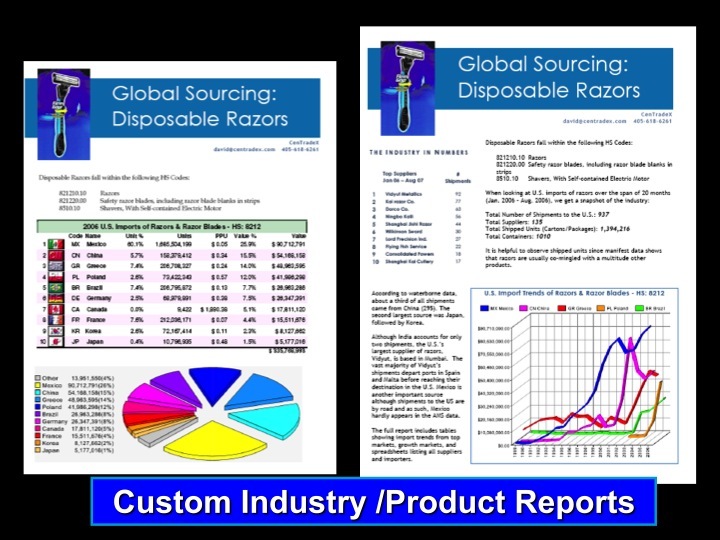 For elite customers, PIERS offered a plethora of prepared reports. (One of their customers once showed me a CD containing over 57,000 such reports). Slowly, PIERS converted such customers to an on-line system which also served to reduce rampant piracy. In the last 5 years, available technological resources have grown exponentially. Correspondingly, vendors offering access to and products based upon the U.S. Customs Waterborne Manifest Data have proliferated like bunnies. On the one hand, this has led to increased competitive pressures which have driven innovation forward, quality upward and prices downward. On the other hand, there is a widening gap between data and intelligence. I stayed awake until 2:00 a.m. one evening recently, trying to catch up on all (that I could find) of the NEW vendors offering AMS data… WHEW! The data has gotten incredibly cheap. The quality of companies /products are mixed. Some look like they are solo operations run out of someone’s garage. Others are incredibly slick. Sometimes quality doesn’t have a price tag. At the peak of the pyramid in price and quality /value is PIERS (of course) – a handful of “G Notes” will buy you the best. Second tier providers include Datamyne, Zepol, Import Genius and Panjiva whose prices range from a few Benjamins to a couple of Clevelands (the President on the now defunct $1,000 bill). Cascading down the food chain are the bottom feeders, like Manifest Journals, Cybex, Info Drive India and the others, which offer access to AMS data for as low as $30.10 a month. The current or prospective user of “trade intelligence” products and resources must decide upon which “values” he values most. It’s cheaper to harvest the wheat yourself… you can purchase the raw AMS data directly from U.S Customs for $100 per day. Maybe even start your own company. Heck, the last three CEOs of PIERS did just that. They either run or have founded companies in the list above. Buyers beware. Users of U.S. Customs Waterborne Import Manifest (Bill of Lading) data need to be aware of the major shortcomings & pitfalls. Part 3 of 3. In addition to the plethora of potential iterations for each U.S. importer and corresponding foreign shipper identified on the shipping manifests, there are other significant problems. There exists the Master versus House Bill of Lading (BOL) issue, which leads to many duplicate container counts. The same shipment may appear under both filings. Unless the TI provider has developed the technology to address this issue, accurate container counts for both shipper and importer will be impossible. Further, there may be numerous – sometimes dozens – of revisions made to a particular bill of lading. These revisions may be published days or months subsequent to the original filing. Unless said roadside TI provider makes provision for ongoing corrections by going back and deleting all previous entries for a particular shipment whenever a new revision shows up, transactional profiles will be greatly skewed. Many bills of lading contain multiple containers. Some containers contain multiple shipments that have been aggregated together. There are many types and sizes of containers. A 40 foot container is 2 TEUS (Twenty Foot Equivalent Unit) and a 20 foot container is 1 TEUS. A 45 foot container is 2.25 TEUS. There are many other variations. Therefore, the number of containers alone is not a dependable measurement. Neither is shipment count. One shipment may contain 20 containers or may represent 1/5th of one container. Although it is against the law, and more stringent measures have been employed since 9/11, many times the real shipper and importer of record do not appear on the BOL. Instead, the Freight Forwarder, NVOCC or some trade agency (middleman) may be listed. Several thousand U.S. importers have petitioned CBP to have their identities suppressed on the publicly distributed BOLs under the trade secret provisions of the FOI (Freedom of Information) act. Around 14% of all BOLS (millions of shipments a year) are thus suppressed. It has been called “The Walmart Effect”. In addition, some U.S. Importers and Foreign Suppliers seek to hide their identities by providing the required identity information but listing it within the product or trademarks area of the BOL instead of the name fields. Despite legitimate tactics of name suppression or other more dubious methods employed to conceal the details involved in one’s trade activity, with a little clever sleuthing much can be revealed. 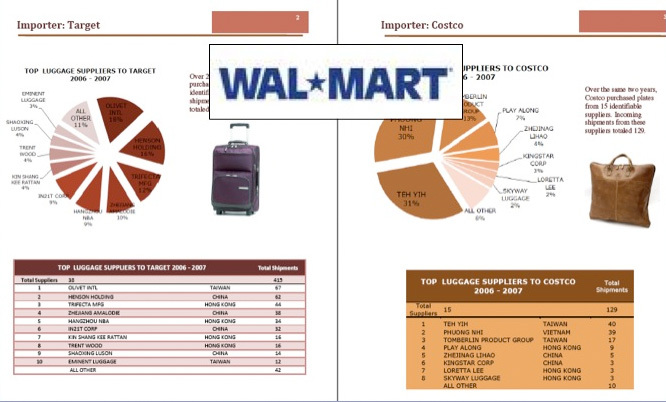 For the tainted toy study we conducted several years ago, we were able to identify over 40,000 toy related shipments over an 18 month period by Wal-Mart alone, despite their obvious efforts to mask their import activity. Trade Intelligence is a lot more than data and a search/reporting tool. Buyers beware. Users of U.S. Customs Waterborne Import Manifest (Bill of Lading) data need to be aware of the major shortcomings & pitfalls. Part 2 of 3. Although shipping manifests contain valuable information about the trade transactions of the U.S. Importer and Foreign Supplier, they can’t and don’t provide a complete picture. One of the most predominant shortcomings is that they only document U.S. Waterborne Imports: products and commodities transported by ship, not air, not rail, not truck, not camel. Therefore Canadian and Mexican cross border trade is all but invisible. Export transactions are not listed. (Re-exports in some cases are). Air freight shipments are not available. And although a majority (around two-thirds) of the products we, in America, import from overseas comes to us by ship, an important minority don’t. Particularly high value, just-in-time, perishable and fragile components or merchandise are not transported by water. So, U.S. Customs Waterborne (BOL) import data is not a great place to look for foreign suppliers of such things. Furthermore, specific product identification is not easily uncovered within the data. 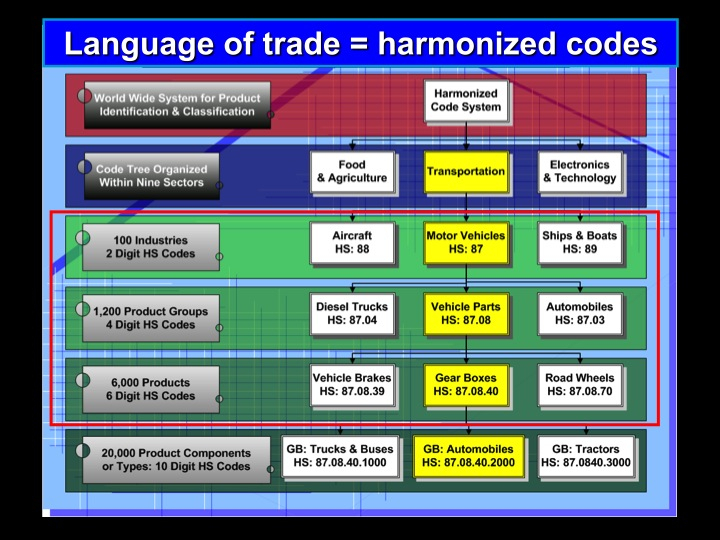 Yes, sometimes the respective Harmonized Tariff codes will be buried within the product or trademark fields on the BOL, if your particular trade provider has developed the algorithms to accurately parse an HS code from among other numerical data such as invoice numbers, quantities, phone numbers, addresses, reference numbers, etc. Many times there are no specifics. Toys, Furniture or Glassware may be the full extent of the product description. Other times there may be extensive descriptions including 10 digit HS codes, trademarks and even SKU numbers. There is no uniformity. Your typical TI provider does little to help in this regard. Most simply offer a blunt search tool which plods through the millions of products descriptions contained on individual BOLs. In order to put an estimated price tag on a shipment, you must first know the specifics of the product, down to at least a 6, preferably 10-digit Harmonized code. Then, using statistical information you can roughly infer an estimated value which is a very crude measuring stick. PIERS, who has been at all this the longest, is the only company I know of that has even attempted to attribute an estimated shipment value. To do such, they first had to assign a specific product identifier (much of this is still done by hand) to each BOL and then attach a gross average based upon aggregated statistical data from U.S. Census. Many times even the resulting calculations have been flawed. However, as we say in the data world: “Bad breath is better than no breath at all”. Note: For those who want to give shipment valuation a spin, greater accuracy can be achieved by disaggregation of the statistic (overlying) data by its respective (foreign & U.S.) port and foreign (source) country. Users of trade intelligence, in particular U.S. Customs Waterborne Import Manifest (bill of lading) data, need to be aware of the major shortcomings and pitfalls. It’s important to learn the ABCs of the data. With the recent proliferation of TI Providers offering access to Customs data via off-the-shelf BI software packages – some with subscription plans costing less than 99 cents a day – the veracity of the resulting reports needs to be seriously considered. If a company saves a few thousand dollars by buying cheap data from a roadside TI vendor, and thereafter depends upon errant reports to base million-dollar global trade decisions, what is profited? ABC company, which one does a BOL refer to? Yes, the base data comes from the same source: DHS/CBP (Department of Homeland Security /Customs and Border Protection). However, a veteran TI Provider, namely UBM Global Trade /PIERS, being the most reputable in the field, has invested significant resources over decades in various refinement and value added processes that help ensure quality, dependability and usability. Whether these value added enhancements justify the pricing differentials involved is a matter for the market to ultimately decide. What are some of the pitfalls? Let’s take a simple hypothetical example: How many containers did ABC, inc. (American Business Corporation) import last from foreign supplier DCF, ltd. (Decent Chinese Factory)? The answer is theoretically contained within the U.S. Customs data. ABC. Broadcasting or Carpet care? Depending upon the parsing and refining algorithms employed by the respective TI Provider (if any), there are also matters of matching location. There may be 10 or more “ABC” corporations in the U.S.
Then there are matters of several divisions or locations with divergent business operations under the same conglomerate name. Sometimes an NVOCC may be listed as the importer of record which is a violation of law that occurs thousands of times a day. Some 14% of importer names are suppressed and thereby appear blank on the BOLs. The list goes on. Yet, naming conventions are one of the relatively easiest problems to address! 10/07/2013	by Robert Lindsay Thompson Comments Off on Trade Intelligence or TI: IT all depends upon how you define “IT” and “TI”. Many companies label themselves as trade INTELLIGENCE providers in some fashion or form. Each and every organization, foreign or domestic, that I list below utilizes the DHS/U.S. 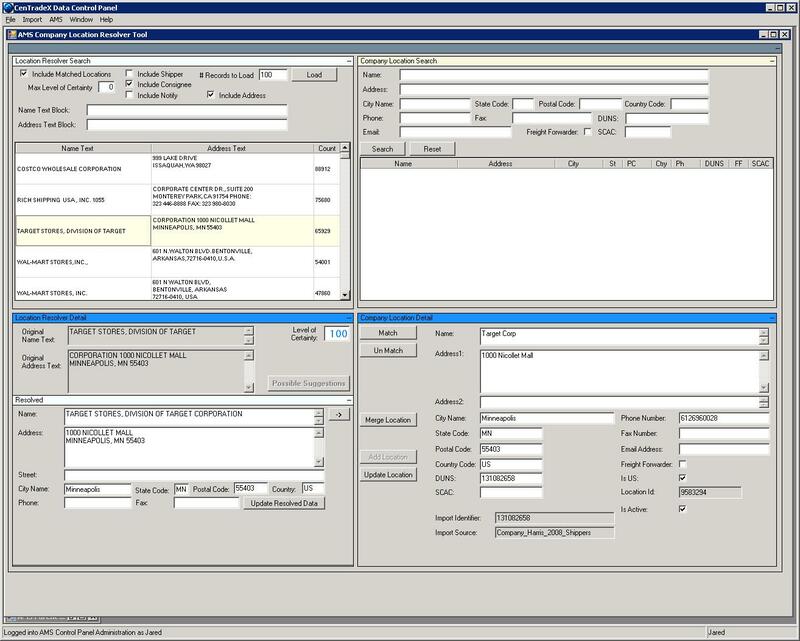 Customs Waterborne Import Manifest (bill of lading) data as THE primary basis for their trade intelligence. First, there is the 500-pound gorilla and industry leader, PIERS: “The STANDARD in Trade Intelligence” with products such as PIERS TI and a handful of others. They’re the standard. The (big) measuring stick. These suppliers boast of value, motion, leadership and having a firm footing when it comes to their brand of trade intelligence. Lastly, let’s look at the folks I label “bottom feeders” (which upon reflection I should rename in a more complementary or at least neutral fashion because, who knows, one of them could be my next business partner) who have their particular shtick. OTHER “bottom feeders” that somehow slipped out of my (inter) NET (search). Yup, you can drop in on one of the “top”, “user-friendly”, “one-stop-(TI)shops” for some “quick”, “cheap”, “US import” trade intelligence either for a specific industry like metals, chemicals or plastics or get it “integrated” (all together) or “custom made” (sliced and diced how you like it). Or, you can just call Michael at Manifest Journal to discuss your Trade IQ personally. Maybe he’ll give you a trade IQ test. You may even qualify for Trade Mensa. So, back to Trade Intelligence, what is it? Will the proliferation of Trade Intelligence Providers add to overall customer happiness and successful business application? Presumably sifted like grain (to remove the rocks, sticks and foreign objects). Everyone gets said “grain” from the same farmer, CBP. 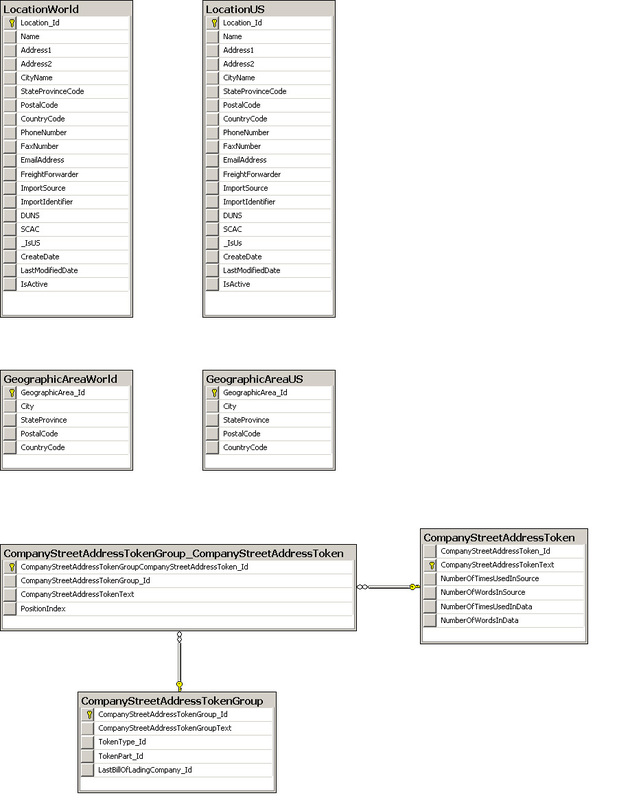 Prudently classified, sorted and deposited into neat little silos (database objects called tables) hopefully guided by geeks with know how. Craftily shaked, baked and served up using whatever “off-the-shelf” or custom-made business intelligence software and graphics reporting solution that is “tech du jour”. Since the same data is publicly obtainable and relatively cheap and with sophisticated BI software packages within easy reach, definitions and expectations of what constitutes Trade Intelligence is likely to change…rapidly. Jump site for the International Trade Administration with links to many data resources. Beyond the resources referenced above, which are mostly places to get hard facts, data and charts, it still remains a matter of interpreting the data, making sense of it, seeing patterns, making observations, and “spicing” /dressing it up a bit with some Google research as well as your own intuition (based upon intelligence, knowledge and experience). Some other interesting articles I ran across recently as an adjunct or primer to the above are the links below. They are particularly helpful when trying to prioritize which cities, companies, states to select from when conducting research and developing analyses. Article about top ten countries that buy stuff from U.S. Sister article to above naming top ten countries that sell stuff to us. Very good PDF listing top exporting Cities in the U.S. Useful as reference material. Also see the Original article. U.S. government source (international trade administration) for top exporting cities . Another (old list of top U.S. Importers). Nice overview on worlds largest exporting counties (top 10). Wiki on international trade (primer). What can you do with Global Trade Flow Statistics? What can the numbers tell you? Think of it like getting to know a person. Each person has a story. Each product that is bought or sold has a story too. The big picture of international trade is composed of many millions of individual stories woven together into a huge, ever-changing tapestry. Global Trade Flow Statistics are like “vitals”. When you go to a doctor, he/she checks weight, blood pressure, temperature, etc. These pieces of data provide the foundation for understanding your particular situation. After the preliminaries are completed, you will be asked additional questions in order to assess your individual condition. Perhaps x-rays, blood tests or another specialist examination will be called for. Each vital statistic is evaluated in combination and in context (with the aid of experts) in order to render a proper diagnosis and treatment plan. Global Trade Flow Statistics (about what has been, is currently and what is expected to be bought or sold by a particular country of your respective product) are vital pieces of information. They not only establish a fundamental knowledge of the situation, but also provide the necessary clues about what other data is required. Collecting, comparing, analyzing and reporting this and accompanying data are called Market Research. No would-be (intelligent) exporter or importer of products or raw materials should attempt to conduct business without it. It would be similar to dispensing a prescription without a thorough examination. You might guess right more times than not, particularly if you consider yourself to have “street smarts”, but the cost of not knowing what you don’t know can be considerable. Statistical Analysis can provide snap shots from the front line of the "Trade War"
Many times, the most important information that can be gleaned from statistical analysis is more questions. I remember stumbling upon a 10,000% jump in annual shipments of auto parts from the U.S. to an obscure African country. Further investigation revealed that, to circumvent the trade embargo imposed upon South Africa, U.S. shipments were being rerouted through an adjacent nation. Another anomaly I remember was the exponential increase in imports by the U.S. of Chilean Salmon. Market research conducted for an entrepreneurial friend of mine, revealed that 98% of Chilean salmon shipments came into Miami, took several days to clear customs and then several more days to be trucked to destinations north. His plan was to establish direct flights into Nashville, reroute distribution and save almost a week. In the world of a fresh, perishable commodity like fish, that’s an eternity. At CenTradeX, I developed dynamically generated reports that illustrated the trade balance (comparing exports with imports) for any particular product between any chosen trading partners (countries) over a 20 year period. With 6,000 product categories and 200 countries that generated over 1,000,000 snapshots, it was easy to observe, if “trade war” is a metaphor you are comfortable with, exports representing money (green) and imports representing (red) how the U.S. has been faring, economically speaking, (soldier by soldier/product by product) with China over time. It all starts with the data. Data is THE fundamental building block used in constructing Trade Intelligence. Trade Intelligence, in one form or another, is the guide map used to navigate trillions of dollars of exchanges in goods and services by every year. WorldTradeDaily.com is dedicated exclusively to the matter of Trade Intelligence. Let’s take a look at Global Trade Flow Statistics particularly merchandise (versus services) trade. First of all, it’s easy to forget when looking at the numbers, that beneath all the digits and commas are real people, companies, jobs, business relationships, political agendas, and the prosperity (or lack thereof) of countries and regions. Specifically, Global Trade Flow Statistics, organized within the hierarchy of roughly 6,000 commonly used and agreed upon product (HS) codes, track the imports and exports between each of 200 countries. The respective governing (and taxing) authority for each government collects, aggregates and (usually through an associated entity) disseminates statistical information on their trade activities at least once per year. Many, like the U.S. and Europe, release data monthly. The numbers reflect the total import or export value for each of 6,000 (six digit HS) product categories, which of course is easily aggregated to the four-digit parent grouping (around 1,200) and the 90+ (two digit) grandparent classes. They also document the number of units sold, whatever type unit, item, case, container, pallet, or barrel is being referred to. Obviously, cost per unit can be derived from dividing the value by the number of units bought or sold. You can obtain this information on virtually every country on the planet with a few exceptions. For instance, Taiwan is not officially recognized by the United Nations as a separate country for publication purposes. You won’t find Palestine’s imports and exports either. The U.S. releases trade flow statistics every month trailing around 45 days. For handfuls of developing countries you may have to wait a year or two before you see trade figures. Some countries maintain their own special rules for what they consider a documentable (and therefore reportable) export or import. Of particular note are China and several Middle East countries. China doesn’t report products manufactured and exported by foreign-owned companies as exports. Therefore, you will quickly discover HUGE discrepancies between what China reports they export to –let’s say the U.S. -versus what the U.S. proclaims they import from China. Consequently, the truth about burgeoning trade deficits and trade imbalance along with the associated political and economic bantering about such things, needs to be reviewed in the light of underlying definitions. It is said, “Information is power”. Many of the specifics about trade transactions are carefully guarded government secrets. China, Inc. is closer to true than not. The reality is that International Trade is the indisputable foundation for economic growth and prosperity. Global Trade Flow Statistics aren’t just obtuse and academic, they are historically relevant, currently pertinent and provide clues to future opportunities and trends that can inform and prosper the wise.